Why would anyone pay thousands of dollars to travel thousands of miles to a remote, river settlement on the edge of the Sahara desert? An excellent question that I failed to ask myself until I arrived in Niamey, Niger on a sleek Air France flight from Paris. The scene was reminiscent, if one were imaginative, of the arrival of a riverboat in Vicksburg during the 19th Century. Actually, I exaggerate. Niamey has a population of 1.3 million people and Niger a population of 17 million, close to the population of Florida. Niger, like Senegal, lies in the Sahel of West Africa. The Sahel is a three thousand plus mile band, stretching from the Atlantic Ocean to the Red Sea, of semi-arid land that divides the Sahara desert from the wooded savannah to the south. What that means is the landscape is dotted with gnarled trees, twisted by the wind, in a sea of brown grass. The River Niger, swollen from the seasonal rains, courses through the center of Niamey, and is both the origin and the sustenance of the city. Two bridges are prominent when viewed from the air: the Kennedy Bridge, donated by the U.S. government, and another, newer bridge to the east, donated by the Chinese government. So why did I come? First, I could cite the educational advantages of international travel. In Niger, I learned how the untrained eye (like mine) can differentiate between the types of scrawny, white animals seeking slim sustenance in the countryside. A goat's tail is pointed up, for example, while a sheep's tail is pointed down. It's hard to tell the difference otherwise because the sheep have neither the need nor the desire to generate a lot of wool. 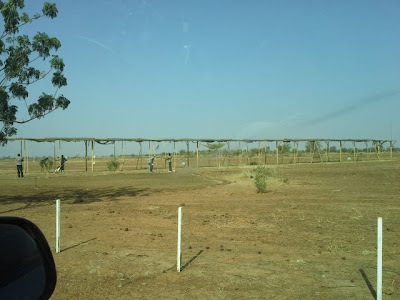 The day after we arrived we headed west out of Niamey with two other Americans to have an adventure. The entertainment options in the Capital City are limited so we chose a camel ride and a boat trip on the River. After stopping to pay a toll we turned off the hard surface road at the golf course sign. The golf course, on the right side of the dirt path we were following, had a driving range and piece of bare, packed earth with a hole and a flag in the middle. The Driving Range and "Putting Green." Shortly after, we reached the river's edge. The camels, huddled in the shade of some trees with their attendant herders, were underwhelmed at our arrival. Omar, our guide for the brief journey, hailed from a local village on the River. He negotiated the price with the chief camel-herder, a Father Time look-alike. For 7 thousand CFA (about $14) per camel we would be transported 5 kilometers to another village where we would meet a boat for the return journey. Omar and Father Time negotiate a price. I had never ridden a camel before. I have seen camels in Turkey, Kuwait, Iraq and Senegal. I have ridden horses in Florida and an ornery mule up the side of Yosemite Valley, but nary a camel. And let me add that the phrase "riding a camel" is not on my bucket list. The trick to getting on a camel. But maybe I came to Niamey because I believe that I should force myself to do new and different things. Memories of everyday life are as smooth as river pebbles that wash down to a forgotten sea. The new and different create memories that are hard, jagged, at times unpleasant, but always vivid. They cling like barnacles to the chronicles of our lives, rich stories that ripen with each telling. My backside still carries memories of that camel ride, but I hope the damage is not permanent. I don't mean to complain, but the thin strips of cloth separating the hard, wooden slats of the saddle from my rear end were thinner than those offered to my companions. Forty five minutes into our hour journey every position I tried had passed uncomfortable and had arrived at painful. Omar noticed my distress and advised me to move forward in the saddle as far as possible and cross my legs over the camel's neck. This was a dramatic relief and a great improvement in my morale. Another example of the educational benefits of travel: tips on camel riding. The highlight of the boat trip (of the day) was a cautious survey of three hippos in the River. Evidently, hippos are not the happy, jovial, clumsy, vegetarian animals of Disney lore. They have the disposition of an NFL linebacker in a Playoff game. Omar and I taking pictures of the hippos. We were too far away for a good shot. While we returned on the boat to our departure point and our cars, I had to chance to chat with Omar. He desired to improve his English in talking to me, but we settled by silent agreement on my limited French as a better form of communication. He tried to interest me in some of the American rap songs on his phone, but I replied that those songs were for the "juene," or young people. He searched his memory, hand to chin, staring into the distance, and came up with a name for a band that fit my demographic. "Phil Collins?" He asked me. That night Lindsey, Gale and I went to an notable French restaurant in Niamey. The restaurant is notable because some foreigners in Niamey will eat at only two restaurants, and this was one of them. I have vivid memories of every incident of food poisoning in my life, and would hesitate to criticize anyone who wanted to avoid a repeat of the experience. The food was delicious and the Bordeaux wine was excellent. In the midst of our delightful conversation I remembered why we decided to come to Niamey. She was sitting right next to me. We came to see our daughter's home, the city she lived in, the place where she worked, and the people that were a part of her life. I had just arrived and the price was already worth it. I have never been to the Philippines or read much about it but I could have written, pre-landfall, 75% of the content of ALL the news articles that have come out in the three days since the storm hit. The journalists are SHOCKED, SHOCKED that the disaster is much worse than expected. No one expected that the water would rise so high. The Category 5 winds caused a "remarkable" amount of roof damage. The survivors started looting businesses after the storm "in search of necessities." A survivor will be quoted, within 24 hours of impact, as being SHOCKED at the poor response of the government: "Don't they understand how desperate things are here?" International aid organizations will promise relief, and send teams to "assess" the situation. The U.S. military will dispatch supplies, planes and ships "at the request of the Philippines government." And, of course, global warming may be involved. Do me a favor. Go look up on Google maps the city of Tacloban, on Leyte Island in the Philippines (it's not that hard). Tacloban looks like its at the bottom of an inverted cup placed at the junction of a 90 degree angle of the East side of the island (or, the side of the approaching storm). I looked at the map before landfall and knew, without benefit of a hurricane evacuation study, that all of the storm surge generated by this enormous storm would be funneled into the bottom of the cup. I knew right away that Tacloban would be in severe trouble from storm surge alone. Next, go to the National Hurricane Center site and click on the link to the left entitled "Wind Scale." There you can read about the types of damage to be expected from a Category 5 storm: "Catastrophic damage will occur: A high percentage of framed homes will be destroyed, with total roof failure and wall collapse. Fallen trees and power poles will isolate residential areas. Power outages will last for weeks to possibly months. Most of the area will be uninhabitable for weeks or months." Most of the area will be uninhabitable for weeks or months. Hummnnn. Let's go back to the fact that Tacloban is on an Island. Granted, it's a big island, but this big island doesn't have Interstate 10 crossing the island, nor does it have I-75 connecting the north to the south. That means relief supplies have to be brought in by plane. Or by boat, when the port is opened. They don't have enough planes or money or time to take care of 200,000 people in those conditions. And I equate their conditions to be like trying to survive in the middle of the Libyan desert. Every plane that flies into Tacloban airport should be leaving full of people. When the boats and ships start arriving (and they should be on the way) they should drop off supplies and haul back people. If the government of the Philippines hasn't figures this out yet then people are going to start dying. The World English Dictionary defines uninhabitable as "not capable of being lived in." The only way to bring the supply of food, water and shelter into equilibrium with supply in this situation is to reduce the demand. The increased rate of mortality will achieve this end but the more civilized approach is to bring the people to a place that they can be sustained at the First Level of Maslow's Hierarchy of Needs. When (not if) the Category 5 storm hits Miami the same type of calculus will come into play. Miami-Dade County is not an island but it's close. It's at the very end of a long peninsula, with 2.5 million people (not 200k) crammed into a narrow strip of land between the Atlantic Ocean and the Everglades. When the Cat 5 comes we are going to start having to bus and fly them out as fast as we can. "You can't make them leave!" I have already heard the naysayers shout. Oh, I agree. A good portion of them will be screaming to get out. Live. On national television. Let's see what happens in the Philippines the next few weeks and months. We may see a preview of coming attractions. I hope the right people are watching, and that they learn the right lessons. Once upon a time, in the land of hurricanes, King Craig Fugate brought together all the emergency managers and all the voluntary agencies and the private sector and even some Femites to devise a plan to save the kingdom from the evil Big One that they all knew would some day threaten their very existence. Just as all good stories have a villain, so must all good emergency plans have a scenario. The scenario offered up was called Hurricane Ono, a Category 5 hurricane that struck southeast Florida, rampaged across the peninsula to Tampa, renewed strength in the Gulf and hit the state again in the Panhandle. As an added prize, the scenario included a failure of the Herbert Hoover dike around Lake Okeechobee, with the total inundation of the adjacent communities. The Evil Stepmother who first presented this scenario to the assembled State Emergency Response Team (SERT) in Tallahassee in 2007 was Carla Boyce, at that time the SERT's Plans Chief (and now an Important Person at FEMA Headquarters). Her presentation had a profound affect on me. In one way or the other most of my thoughts and actions in emergency management and mass care since that moment have been directed toward preparing for such an event. We worked on the plan for two years. We brought in some smart people from the Red Cross, Salvation Army and the Southern Baptists with hard earned experience and I learned a lot of mass care from them. We spent a lot of time trying to answer some pretty basic questions. How many meals per day would we need to produce and distribute? Who would provide them? How many shelter teams would we need? Where would they come from? I remember thinking that the mass care community has been doing this for a long time. Why haven't they come up with a standard process to make these kinds of calculations? I mean, we were coming up with astronomical meal and shelter requirements. How do we know these numbers are right? We didn't, and still don't. Plus, I had a nagging problem that wasn't solved in the plan. When you ask for the WORLD and the WORLD shows up, you're going to need a helluva lot of people to tell all those trucks where to go. We tested our plan, using the Hurricane Ono scenario, during the May 2009 State Hurricane Suiter Exercise. This was the last State Exercise for King Craig. He had been nominated, but not yet confirmed, as the new Director of FEMA during the time of the exercise. For some reason we had massive, and unprecedented, participation from FEMA Region 4 during that exercise. Hurricane Ike, which had struck Texas in September of 2008, had already had an influence on the plan and the 2009 exercise. The disaster feeding in Texas during Ike, according to multiple, conflicting reports, had been ugly. I had a number of long conversations with FEMA, state and voluntary agency participants with first hand knowledge of the events. The root cause of the problem was a lack of coordination. I was determined to do whatever I could to make sure that such a problem did not happen in Florida. In January 2009 I emailed Lynn Crabb, at that time the lead for Mass Care at Red Cross Headquarters, that we needed to get the mass care voluntary agencies together with FEMA and the states (well, at LEAST Florida) and do a "Vulcan mind meld" to resolve this problem. Mickey Caison, the disaster lead for the Southern Baptists, had the same idea and was in a better position to do something about it. 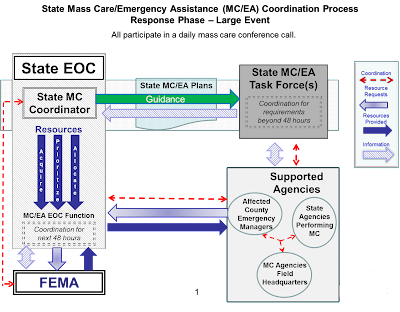 At Mickey's behest, FEMA Headquarters Mass Care assembled a team of subject matter experts from multiple stakeholders on a series of conference calls with the objective of creating a Multi-Agency Feeding Plan Template. I was fortunate to be a part of these conference calls, which ultimately grew to over 40 participants. This document was the first big step toward creating some kind of state mass care doctrine. Before the Feeding Plan Template was even finished I drafted a State of Florida Multi-Agency Feeding Plan and sent it out to all of our stakeholders for comments. What was significant about this plan was that we included the private sector food suppliers (Sysco & US Foods) in the planning process. As a result, and as was my intention, Florida published the first Multi-Agency Feeding Plan in the nation. I rushed to get the plan completed because I wanted to test the plan during the 2009 Hurricane Suiter Exercise. There was just one problem. Both the Feeding Plan Template and the State Feeding Plan called for the creation, under specified circumstances, of a Multi-Agency Feeding Task Force (FTF). What was a FTF supposed to do? The Plan wasn't real clear about that. Some kind of multi-agency coordination involving feeding. We think. So I decided that we were going to establish a FTF during the 2009 Hurricane Suiter Exercise. I was able to round up a bunch of smart guys who knew a lot about their little piece of disaster feeding and I put them all in a room on the third floor of the building next door to the EOC during the exercise. I got Rick Hinrichs from the San Diego Chapter of the Red Cross, and Fritz Wilson from the Florida Baptists, and Kevin Smith from the Florida Division of the Salvation Army, among others. The hardest part was to get Sysco and US Foods to agree to be in the same room together. They eyed each other during the exercise until they realized that we could generate more business than either one could handle. We all learned a lot about how we should and shouldn't coordinate mass care at a state EOC during the 2009 Hurricane Suiter Exercise. I learned that no matter how smart I thought I was, that no matter how much knowledge and experience that I had coordinating mass care at the state level, and no matter how hard I was prepared to work at getting my job done right, I couldn't be in three different critical EOC meetings at the same time. And we learned that a feeding task force was a good idea but wouldn't be effective unless it had an operational procedure that defined internal TF roles, tasks and processes. I had participated in a dozen state hurricane exercises and I had learned more in the 2009 exercise than I had in all the other exercises put together. I was eager to do it again in 2010. But the Deepwater Horizon disaster blew the 2010 exercise out of the water and the EOC Continuity of Operations exercise scheduled for 2010 was rescheduled for 2011. In the Fall of 2011 I started thinking about what kind of mass care exercise we needed to have in 2012. Another big thing that I learned from the 2009 exercise was that when the Big One hit Florida we would need a lot of help in the EOC. And we couldn't fill the gap by grabbing state workers off the street and thrusting them in the EOC in half-day increments like we did in 2004-2005. We needed people who knew mass care and were able to step into an EOC and be effective with some preliminary training. Where could we get these kind of people? The voluntary agencies, like the Red Cross, didn't train their people to perform these roles. Neither did the Salvation Army. There were few, if any, State Mass Care Coordinators out there. And those that had the experience were on the hurricane prone coastal states and not likely candidates to be released to come help me during hurricane season. The big disaster event in 2011 was Tropical Storm Irene. I benefited from an EMAC deployment to New Jersey during Irene. When I returned to work I developed a Power Point presentation saying that Florida was going to hold a National Mass Care Exercise in Tallahassee in conjunction with the State Hurricane Exercise in May 2012. I emailed this presentation to everyone I knew in the national mass care community and said that anyone willing to pay their way to Tallahassee was welcome to play in my sandbox. But who I really wanted to come to the Exercise were my state counterparts and I knew that they wouldn't be lining up to come because they had no money. I contacted Waddy Gonzalez, the head of FEMA Mass Care, and explained how I was doing him a BIG FAVOR by putting on this National Mass Care Exercise, and was helping him do his job of increasing mass care capability in the states. All he had to do was find the money to pay for some state people to come to the exercise. Waddy, to his great credit, came up with the money for 5 state people to attend. Thus we were able to get the participation of Wendy Stewart from Georgia, Daniel Porth from Arizona, Dennis Dura from New Jersey, Dante Glinecki from Missouri and Ed Lyons from Arkansas. Ultimately we were able to get 64 participants from 26 federal, state, nongovernmental, private sector and academic agencies. Arguably, this was the largest mass care exercise ever conducted in the nation. I had no budget and no staff available to make this happen. Fortunately, I had lots of friends in the mass care community who saw the inherent benefits to the nation of the exercise and agreed to help. Jono Anzalone with FEMA Region VII (now with the Red Cross) volunteered to be the Lead Controller for the Exercise and offered Cory Fast and Kam Kennedy from his staff to help with the project. Ryan Logan, the Mass Care Lead for FEMA Region IV (also now with the Red Cross) pitched in to help with the planning for the exercise. More people, too many to name here (I'll forget somebody and be in trouble) were instrumental in the success of the exercise. As more and more people started saying that they were coming I started to get worried. How was I going to productively utilize all these people? And a bigger problem, where was I going to put them all? They wouldn't fit in the EOC. Based on feedback from the 2009 exercise we updated the State Feeding Plan and drafted a Feeding Task Force (FTF) Standard Operating Guide (SOG). One of our objectives for the 2012 exercise was to test the new plan and to establish a Feeding TF to test the new SOG. So why not set up a Sheltering TF? And as the number of participants grew higher we added on a Distribution of Relief Supplies TF. And I had to scramble with the Florida Division of Emergency Management Exercise people to find rooms for these TFs within easy walking distance of the State EOC. In the end, this was good preparation for us because we would need to do the same thing if the Big One were ever to happen. The 2012 Hurricane Gispert Exercise was a success, but not because we did everything perfectly. We allocated a lot of resources to capturing the lessons we were learning and we had a long list of things that we screwed up. Some of the horde of people who arrived were put to work as Evaluators and Kam Kennedy was assigned to be in charge of Documentation. To that end, we had Hot Wash meetings at the end of each day and Kam made everyone do daily written critiques. All of the information that she collected was put into the After Action Report (AAR). 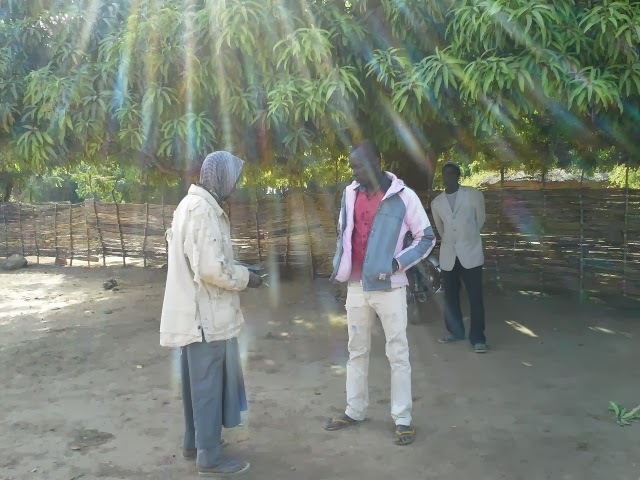 A significant source of the problems we encountered in the exercise was that what we were trying to do was hard and few participants had the training or the experience to have a clear idea of what we were trying to accomplish. In essence, we were simultaneously trying to create, train and exercise state mass care doctrine to 60 people in 4 days. Doing that is really hard, in case you were wondering. I was thrilled at what we were able to learn in 4 days. And the best part was that 5 state mass care people were able to take hard earned knowledge and experience back to their states. Dennis Dura, from New Jersey, participated in the exercise and put what he learned to good use 5 months later when Hurricane Sandy struck his state. Furthermore, as a result of the contacts he made at the exercise, he was able to bring Daniel Porth from Arizona to New Jersey for the Sandy response. Once we got the Exercise AAR completed and posted to the Internet on July 1 I set to work translating the lessons learned into new state plans and procedures. The State of Florida does not do sheltering but supports county and municipality shelter operations. The state has never had a Multi-Agency Shelter Support Plan but the myriad issues with functional needs support in general population shelters and the complex problems with transitioning shelter survivors to appropriate housing made it seem like a good idea at the time. The New Shelter Support Plan, of course, would establish criteria for the activation of a Shelter Task Force. Sheltering wasn't really an area of my expertise. So I had to pester some smart people who knew what they were talking about, like Rick Schofield of the Red Cross, in order to get the document written. The 2012 Exercise revealed that a Shelter TF without a Shelter Plan or an operational procedure was about as much good as a beached whale. So to get ready for the 2013 Exercise we had to write (and coordinate) a Shelter Support Plan, a Shelter TF operational procedure, a revised ESF 6 operational procedure, and updates to the Feeding Plan and Feeding TF operational procedure. I had a lot of work to do. As usual, real life gets in the way of our dreams. In June we had Tropical Storm Debby and in August Tropical Storm Issac. Then I deployed in response to Sandy for 3 weeks in November. As a consequence we didn't complete the updates and rewrites of all the plans and procedures until April, a month before the exercise. Ahh, the exercise. I had to round up the usual suspects again to help me put on this big exercise for which I still had no staff or budget. The grim reality that I faced was of my two biggest partners, the Red Cross was in the middle of re-engineering and FEMA was battling the Sequester. But we got it done. We got state mass care people from big states and little states from all corners of the country: Larry Shine from Texas, Tracy McBroom from California (now with the Red Cross), Sue Bush from Washington and Dwayne Hubert from Maine. The Sequester cut down on the number of Femites in attendance but we had the same wide representation from agencies representing the Whole of the National Mass Care Community. We learned a lot and gave a lot of people some good training. Once again, Kam Kennedy helped document the lessons learned that were included in the 2013 National Mass Care Exercise After Action Report. Now, once again, I am updating plans and procedures to reflect what we learned. We are going to hold the Exercise in Tallahassee one more time in 2014 but are looking to give somebody else an opportunity to shine (and do some of the work). California has shown interest in hosting the Exercise in 2015 and Texas in 2016. But, and to the point of this epistle, to get where we need to be we need to implement the National Mass Care Strategy. The Strategy emphasizes the standardization of mass care terminology, procedures and processes. Holding these national exercises allows the mass care community to come together and sort out the process of how we coordinate mass care at the state level. As you can tell from the story that I just related, the process of building a state mass care doctrine didn't start until 2009. To make these National Mass Care Exercises more effective in building national mass care capability we need to give the participants additional training and preparation before they arrive at the exercise. An unfortunate number of the participants in the 2012 and 2013 exercises looked like High School football players at an NFL game. They had neither the training nor the experience to perform at a high level in that environment. And this wasn't their fault. The agencies involved need to do better at building the capability to provide the right people with the right skills. The U.S. Army has a course called the Command & General Staff College to prepare senior captains and majors to be staff officers and planners. At the end of the course they select a few of the elite graduates to take additional training in high-level planning. At the end of this extra training these officers are sent out to regular assignments in the Army, a resource to be harvested in need. And when a 4 star general has a need for planners for an important operation, these officers are plucked from whatever job they have and collected at the 4 star's headquarters. They work 20 hours a day for 2 weeks writing and briefing a plan for the 4 star. Then they go back to their regular jobs. The Army calls these planners Jedi Knights. The mass care community needs to build their own cadre of mass care Jedi Knights. And the American Red Cross, as the True Leader of mass care in the nation, needs to be the agency to lead the way and set the example in this regard. In June 2012 Tropical Storm Debby dumped over 25 inches of rain on the City of Live Oak, the County Seat of Suwannee County in North Florida. When I got to the State EOC the morning of June 26 I read Information Message #155 from Suwannee County on the EM Constellation Message System. The Message, titled "Evacuations/Roads", and posted at 0556 hours, read in its entirety, "Suwannee County is evacuating many many houses within the County as well as City of Live Oak, US Hwy 90 and Pine is waist deep... We are contacting local air boat owners and school bus persons to assist with evacuations." A quick check of Google Maps revealed that the intersection of "US Hwy 90 and Pine" was in downtown Live Oak. The day before, seeing as it was "just" a Tropical Storm, I saw no reason to cancel my plane flight to Atlanta for the FEMA Region IV Individual Assistance Conference. Hmmmmm, I thought, after reading the message. I don't think I'm going to Atlanta. I called my good friend Ryan Logan at FEMA Region IV (woke him up) and gave him the bad news. About 2 weeks later the Shelter Report for the state was down to one shelter open, in Suwannee County, with a population that had dropped to and stayed at around 50 people. Mike Delorenzo, the SERT Chief, declared in the State EOC that the priority for the disaster was to get the Suwannee County Shelter closed. I turned to Beth Boyd, the Red Cross liaison in the State EOC and said, "OK, Beth, get the shelter closed." As the State Mass Care Coordinator that was about all that I could do. In the state of Florida, shelters are a local issue and getting everyone out of the shelter was the responsibility of the local authorities. Even if I wanted to help I had no resources to bring to bear on the problem. Bryan Koon, the Director of the Florida Division of Emergency Management, commented at the TS Debby "hot wash" that we took too long to get the shelter in Suwannee County closed. I agreed, and started looking into possible solutions. I discovered a best practice that was utilized with some success during the Alabama tornadoes in 2011 and even (in some places) during Hurricane Sandy in 2012: the Shelter Transition Team. As we drafted Florida's new State Shelter Support Plan we incorporated the Shelter Transition Team concept into the document. As we are all aware the introduction of a new concept into a plan requires development of a process for execution in a disaster and the acceptance and understanding of this new concept and process by the various stakeholders. The biggest stakeholders and beneficiaries of the Shelter Transition Team are the local emergency managers. I began introducing this concept to them at training sessions in October 2012 at well as at the Governor's Hurricane Conference and State Hurricane Exercise in May of this year. The message that I communicated to the local emergency managers was that the process began when the County requested a Shelter Transition Team from the State. This would be done in the same manner that the Counties request any other resources from the state. When this request arrives at the State EOC the responsibility for coordinating this mission would be assigned to State ESF #6, Mass Care. That's me. I do not have a cache of Jedi Knights in Tallahassee that I can send to the counties in response to this request in order to solve their shelter transition problems. The assignment of the mission to ESF #6 signifies two important things: 1) The County has asked the State for assistance in transitioning their shelter populations, and 2) The State Emergency Response Team (SERT) Chief has directed the State Mass Care Coordinator (me) to marshal federal, state and nongovernmental agency resources toward the outcome of moving all shelter residents to appropriate housing (as specified in the State Shelter Support Plan). This is important to the County emergency managers (or so I have/will explain to them) because in a disaster closing the shelters is one of a list of problems they are wrestling with and the shelters may not even make the Top 10 on the list. Secondly, none of the federal, state and nongovernmental agencies that can bring resources to bear to get the people out of the shelters and into appropriate housing work for the County Emergency Manager. Third, the actions of the federal, state and nongovernmental agencies are seldom well-coordinated at the local (or even state) level. So how would this Shelter Transition Team work at the local level? The process we are developing in Florida begins, as I said before, with a request by the County to the State. The second step is that the county either a) designates a local Shelter Transition Team Leader, or b) approves a local representative nominated by one of the agencies in the State Shelter Support Plan to be the Team Leader. The Team Leader would become the local coordination point for all the agencies working to transition the shelter residents to appropriate housing. This coordination could be performed through regular meetings and/or conference calls. The Team Leader would also be in regular contact with State ESF #6 in order to exchange information and get assistance with resolving multi-agency disputes (which, in disasters, is a common occurrence). I am under no illusions that getting any of this done in a disaster would be easy. FEMA and the American Red Cross are also big stakeholders in this process and we need to work with them to determine how they can help to make this concept work in Florida. I hope that we can get the detailed coordination finalized before we have to actually use this plan in a disaster. With the peak of hurricane season approaching.... Well, this is one of my top priorities. The national mass care community needs to agree on a standard state mass care coordination process and then sell the concept to the emergency management community. I am sure that this is not a burning item on your priority list but here me out. Right now, responsibility for mass care coordination for most of the fifty states can be divided into one of three categories: 1) Let the Red Cross do it, 2) Let the Red Cross and FEMA do it, and 3) let a social service service state agency do it. Emergency managers don't want to mess with mass care. This situation reminds me of the role of civil affairs in the Army. Civil Affairs consists of officers and soldiers who deal with civilians on the battlefield. The Infantry and Armor Officers who are In Charge don't want to mess with the civilians because they wouldn't take orders and were a drain on resources needed for combat operations. All of our tabletop and field exercises were full of combat units but civilians and their problems were nowhere to be seen. The civilians were assumed to be out of the exercise, taken care of by the civil affairs units. Emergency managers are rightly concerned with life safety actions immediately after the disaster hits. But, as they say, after 72 hours you're not doing search and rescue, you're doing body recovery. Most big exercises end by 72 hours after the event, if they even last that long. Yet, at 72 hours, in disasters involving millions of people (which are the ones that most concern me) the mass care problems are only beginning. The intent of a standardized state mass care coordination process is not to dictate to states how they should do business. When the Big One hits and the State starts screaming for help and people from other states or voluntary agencies or FEMA start streaming into the State EOC it would be very helpful if everyone used and understood a common process for mass care coordination. These new people are already dealing with an unfamiliar geography, a strange system and co-workers that they have never seen before. By giving them a nationally known and familiar process we can immediately increase their effectiveness. Preferably this process would have been taught in FEMA mass care courses and practiced in exercises like the National Mass Care Exercise. I've written about this in a previous blog post. After the recent National Mass Care Exercise, held in Tallahassee in May, we came up with the diagram below to explain the coordination process that we utilized in the exercise. This diagram didn't spring forth from anyone's head fully formed. At least 30 or 40 members of the national mass care community nationwide made comments on various drafts. At first they said to add this and don't forget to include that. Then they said the damn thing was too complicated and hard to understand. So we simplified the diagram and found someone in FEMA Headquarters who could draw pretty Power Point pictures. This is the result. At the FEMA Region IV Individual Assistance Conference in Atlanta last week I briefed this diagram to the FEMA, state and voluntary agency attendees. They then broke up into groups and discussed the diagram. Some groups briefed that we needed to add this or include that. Others said that it was too complicated. But we're making progress. We need to get the diagram out in front of people so that they can talk about it and maybe even think about how they can adopt it in their states. To me there are a number of important features of the diagram that must be pointed out. First, and most importantly, the diagram establishes the critical role of the State Mass Care Coordinator (SMCC). FEMA has published a Job Title that establishes education and experience requirements for a Type 1 and Type 2 State Mass Care Coordinator. The National Mass Care Strategy recommends that states identify a State Mass Care Coordinator. FEMA needs to encourage this by sending identified State Mass Care Coordinators to training and exercises, like the National Mass Care Exercise. A second important feature is the concept that the SMCC acquires, prioritizes and allocates resources and information to the supported agencies. In large events the SMCC is assisted in this coordination process through the establishment of Mass Care Task Forces, that operate in accordance with State Mass Care/Emergency Assistance Plans. Finally, the diagram defines the supported agencies as the affected counties, the Mass Care Voluntary Agencies Field Headquarters (like the American Red Cross Disaster Relief Organization) and those state agencies that perform mass care (like a state Social Services agency that operates shelters). These Supported Agencies request and receive resources from the State EOC. I am going to do my best to engage the national mass care community with the concepts incorporated into this diagram. The first step in the engagement is to get everyone to understand the existence and importance of the state coordination process. The second step in the engagement is to get everyone to understand the concepts represented in the diagram of the process and how they would apply to a disaster in their state. Finally, I want to get informed analysis and criticism of the diagram so that we can make it better. On Friday, August 13, 2004 I was in the State Emergency Operations Center (EOC) in Tallahassee when Hurricane Charley struck Charlotte County on the southwest coast of Florida as a Category 4 Hurricane. The storm plowed through central Florida and exited into the Atlantic Ocean as a Category 1 near Daytona Beach. Twenty five of the state's 67 counties had been struck by hurricane force winds and they all began screaming for help at the same time. At that time I had been the State Mass Care Coordinator for almost 5 years. This was my first big disaster and I had plenty of time to study the requirements of the job. I thought my intelligence and diligence would leave me prepared for the tasks at hand. I was wrong. I spent the first week of the disaster overwhelmed and confused. With the hindsight of my current experience I realize that I focused on the trivial and overlooked the important areas, not out of disregard, but out of ignorance of their existence. I did a few things right. I realized that I was overwhelmed and called for help. The Emergency Management Assistance Compact (EMAC) is a process for states to ask for and receive emergency personnel from other states. I remember filling out an EMAC form asking for "state mass care workers" and then returning to the EMAC desk each day with a hopeful expression. I was so ignorant that I didn't realize the number of state mass care workers in the nation was infinitesimal and I might have had better success asking for kangaroo trainers. In my defense there wasn't a single document in the nation in 2004 that even identified the position of State Mass Care Coordinator much less explained how to do the job. Now FEMA's National Integration Center has approved Interim Guidance for the State Mass Care Coordinator Job Title. And the nation will be testing a wealth of documents on how to manage mass care at the state level during the 2013 National Mass Care Exercise to be held in Tallahassee, FL from May 20-23, 2013. The screen shot below of the old Tracker message system we used in the State EOC in 2004 for the Charley response shows a sample of the resource requests and information messages we received on August 16th. At that time, on Day 3 after the storm, we had already received over 3,300 messages. The works out to about 800 a day, or 35 an hour if you assume that they arrived evenly over the 24 hours in the day. But they didn't arrive evenly. The messages came in gushers and waves during the daylight hours and this inundation overwhelmed our ability to process and understand what was happening in the affected area. I remember many times during those early days sitting at my desk in the big room of the EOC with a land line in one ear, a cell phone in the other ear, and 3 people standing behind me waiting to ask a question. How much planning and analysis of this wealth of information was being performed by me or anyone else? We weren't planning for anything. We were just reacting. During large disasters the very real situation that I just described is not uncommon. Those of you who have experienced these situations are nodding in agreement. The symptom of overwhelmed EOC workers is caused by under-staffing. Duh. So why aren't we doing something about it? The reason emergency managers across the country are in the situation I described in August 2004? We don't know what we don't know. I didn't know that the systems that I put in place would be inadequate for the required level of the disaster response. I could not have been expected to divine this, and there was nothing written down that could aid me in arriving at this conclusion. Coordination complexity is the degree to which the size and nature of an event increases the volume of required agency interactions and degrades the ability of an Emergency Operations Center to function without additional procedures and staff. The Homeland Security Institute article did list some parameters for coordination complexity which I assembled into the table below. "Media Attention" is the parameter at the top since it tends to influence actions of the elected leaders who are our bosses. This introduces in some jurisdictions the phenomenon that I call "briefing up," wherein the poor emergency manager is pulled from his/her critical tasks in the EOC to give detailed and lengthy explanations to the elected officials, discussions that would have been more fruitful and less disruptive to the response if they had been conducted before the disaster started. An EOC is a facility where response agencies assemble to coordinate their actions. The "Stakeholder Composition" of those agencies is a major determinant of the level of coordination complexity involved in the response. The large number of agencies within the EOC are coordinating with local, state and federal agencies external to the EOC. And the agencies involved in this coordination have varying levels of expertise, experience and skill. Finally, type and quantity of the tasks performed within the EOC and the number and competency of the staff assigned to execute those tasks affects the level of coordination complexity of the event. My favorite parameter is the "# of follow-up actions required" to complete a task. Using these different parameters one can construct a table to determine the Coordination Complexity Level of an event. The table below is just such an example and can be used to assign the Coordination Complexity Level for a mass care response in Florida. In this table a Level 1 is more complex than a Level 3. 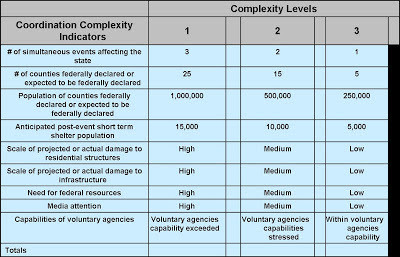 Thus a State Mass Care Coordinator can use this table (or a similar one adapted to the jurisdiction) to estimate the Complexity Level before the storm hits and then request the additional personnel required to meet that level of complexity. 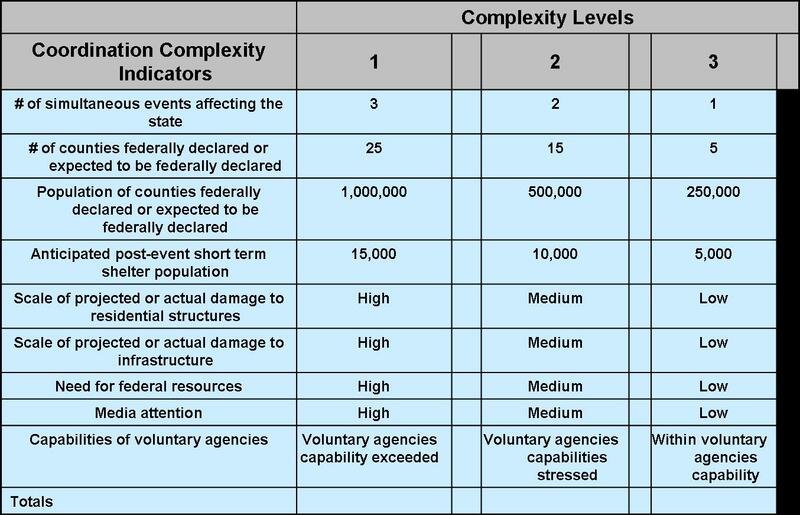 What level of capability is required for a given Complexity Level? We are working to answer that question during the National Mass Care Exercise this month. Stay tuned. Hurricane (or, if you prefer, Post Tropical Cyclone) Sandy had a major, but not catastrophic, affect on New York City. Of the four hazards from a hurricane (surge, wind, inland flooding & tornadoes), surge was the principle source of the damage to the city. There was not the extensive inland roof damage from winds that happened in, for example, Wilma. Six months afterward, when I flew into Ft. Lauderdale, I was greeted by a sea of patched, blue roofs. I tried to explain to some New Yorkers that the wind damage was minimal but they protested and showed me their cell phone photos of destroyed, ocean side homes. 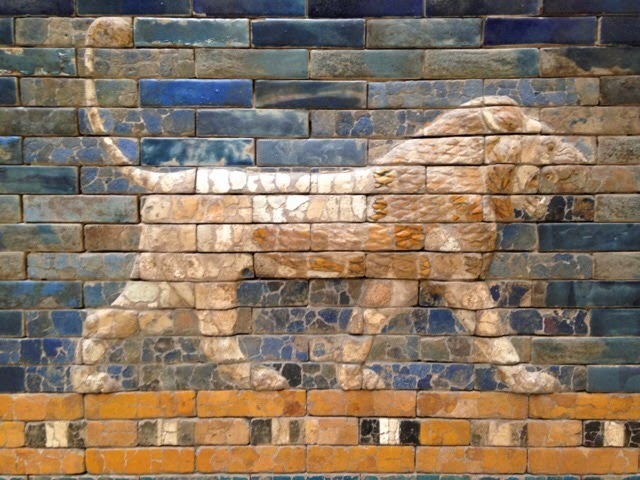 I had seen such images before, in pictures and in person. What I was unable to convey to them , or they couldn’t understand, was that when a storm delivers surge, wind, inland flooding & tornadoes to a spot, there are no pictures of wrecked houses. There is only, like I saw in Bay St Louis after Katrina, the empty, concrete slabs where the houses had once been. The City of New York, under the strict supervision of the Mayor’s Office, applied the considerable resources at their disposal to the task of feeding the survivors of the disaster. After tasking the National Guard to deliver shelf stable meals and bottled water to Points of Distribution, the City contracted for catered hot meals to be delivered to fixed feeding sites in the affected area. They also hired a number of the abundant food trucks to perform mobile feeding. These actions were paid for from the Mayor’s Fund, a stash of donated dollars available for use at the Mayor’s discretion. The American Red Cross and the Southern Baptist Convention contributed considerable resources to the establishment of a mass care feeding infrastructure in the five Boroughs of the City and on Long Island. Three Baptist Field Kitchens were positioned in the City (Staten Island, Brooklyn & Queens) and one on Long Island. In mid-November there were approximately 120 Emergency Response Vehicles (ERVs) assigned to distribute the production of the 4 Field Kitchens and any additional catered meals. The Food Banks in NYC, with their associated food pantries and soup kitchens, shoulder the burden of feeding the needy every day during blue skies. With the advent of the disaster their burdens were increased. The truckloads of donations increased significantly after the disaster, which is a good thing. Receiving, sorting and distributing the additional donations was an additional burden on already exhausted staff, which is a bad thing. Finally, ad hoc groups of people sprang into existence to take care of unmet feeding needs. The Food Banks and the Red Cross tried to assist these groups with varying success. When I arrived in NYC in the middle of November 2012, almost 2 weeks after the impact of the storm, very little of this feeding activity was coordinated. There were, in the words of a friend of mine, “multiple, parallel, non-converging" feeding efforts under way in the City (although parallel is, by definition, 2 straight lines that do not intersect, I add the term “non-converging” for those of you who never read Euclid). After speaking at the recently completed National Hurricane Conference to a number of individuals in the mass care community who served in NYC during Sandy, I arrived at several conclusions that I would like to share with you. The reasons for the lack of coordination are primarily cultural and institutional. I will deal with the institutional first. NYC is a hard place to live in on a good day and I imagine is a very difficult place to manage. The successful elected officials and managers in the City succeeded because of the particular way that they solved problems. I am not going to attach adjectives or moral judgments to their problem solving processes. Long ago the 5 Boroughs of the City decided that the best way to manage the City was with a powerful Mayor. Broward County, Florida, with a population of about 2 million persons, has 31 municipalities and a county government without an equivalent, powerful central executive. The problem solving processes in NYC and Broward County are different but satisfactory to a majority of the populations in each jurisdiction. When a Big Disaster Strikes the City the elected officials and managers address this problem the same way that they have been successful addressing Big City problems in the past. The Whole of Community concept that FEMA Administrator Craig Fugate developed in Florida and brought to the nation emphasizes communication, collaboration and cooperation in the disaster response so that all of the resources in the community are brought together in a Unified Effort. The Unity of Command brought about by a powerful Chief Executive comes at the expense of a Unity of Effort. The fact that the disaster was not catastrophic meant that Unity of Command was sufficient for a successful response. A Unity of Command, that is, augmented by the remarkable and enormous resources at the disposal of the City Government and the admirable hardiness of the New York City survivors. Another reason for the lack of coordination in the City during the Sandy response was the clash between the Culture of the New Yorkers and the (Southern, Midwestern, take your pick) cultures of the Femites and mass care volunteers who poured into the City during the response. The things that we did and said angered and worried the New Yorkers. How could they have confidence that we would perform when we had that kind of attitude? The things the New Yorkers did and said shocked and offended us. I remember thinking: I volunteered my time and energy to come here and help. Why are they treating me this way? This was not a good environment for communication, collaboration and coordination. I don’t believe that NYC is going to change the way that they handle disasters. They have been hit by 2 storms in successive years and they believe that their responses were successful. Why should they change? They should change because Unity of Command will be overwhelmed in a catastrophic event. Whole of Community was adopted and implemented because Unity of Effort is the best way to respond in a catastrophic event. The City of New York can figure that out now or they can have that conclusion forced on them days or even weeks into a catastrophic event. It’s their choice. The New York Times reported this weekend that the 10th anniversary of the start of the Iraq war would arrive this Wednesday, March 20. I had vivid memories that the war started on March 19. After a check I discovered that through the miracle of time zone travel we were both right: when the bombs started falling in Iraq on March 20 the date in my temporary home of Ft. Bragg, NC was still the 19th. On that cold, rainy North Carolina evening the room that I shared with Colonel Dale Foster in a dilapidated World War II barracks filled with officers and soldiers of the 358th Civil Affairs Brigade. The object of our attention was my transistor radio, tuned to the local National Public Radio station, from which we expected to hear a speech by the President of the United States. We were all wearing crisp, newly issued Desert Camouflage uniforms. I still carry the memory of the raindrops forming on the window panes behind the radio. March 19, 2003 Packed and ready to go. I didn't know if this speech would be the start of the war or not. I had been working full time for almost five months preparing my unit to go to war and in that time there had been a series of important speeches and announcements, any one of which could have been the one that signaled the start of hostilities. On March 10th I celebrated my 25th wedding anniversary at Ft. Bragg without my spouse. I had kissed my wife goodbye, not knowing when I would return or if I would be going to a war, not once, not twice, but three times. The fourth time, on February 8, 2003, I squeezed her hand, gave her a smile, and jumped out of the car. That was the best we could do. I wouldn't see her or my family or my home until December 21, 2003. The crowd in my barracks room showed no outward display of emotion after the President's speech, even though this was a very significant event in our lives. We were going to war, some on us for the first time. For others, like my good friend Leo Rivera, who had served in the Gulf war, this would be his second trip to Iraq in a U.S. military uniform. The next day, March 20, we finally got the word that we had been expecting and waiting for since we had arrived in Ft. Bragg six weeks before: Donald Rumsfeld had decided that it was time for the civil affairs units to "start flowing into theater" (in the quaint Pentagonese term for it all). On March 21 we loaded out luggage (2 duffel bags and a ruck sack ) on a truck and climbed into buses with our carry-on items. Our immediate destination was Green Ramp at Pope Air Force Base. March 21, 2003 - Waiting for a plane at Green Ramp. 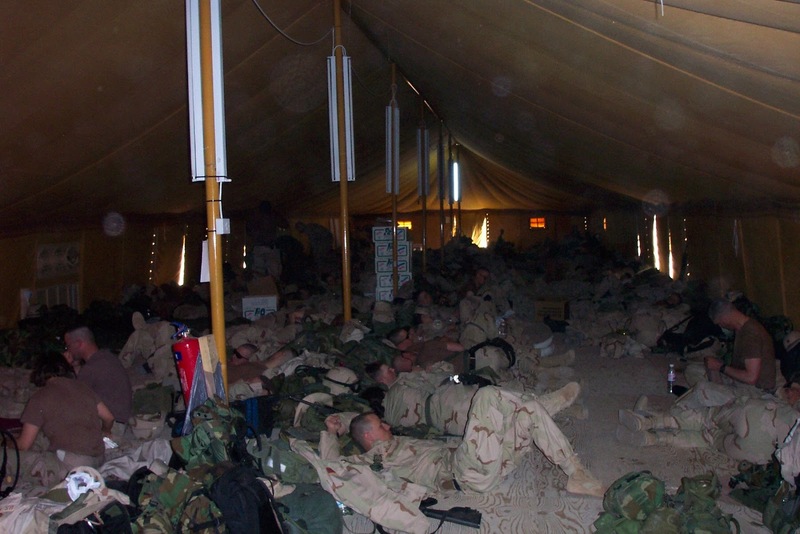 One of the innumerable lessons of military life, especially relative to military contracted or U.S. Air Force flown intercontinental air travel, is to live in the moment and keep expectations at a very minimal, even subterranean level. This is no knock on my Air Force brethren, as I have always considered the Air Force to be a suitable substitute for military service. Let us just say that a United Airlines B-747 showed up at the right place at the right time, and didn't break down, and we left for Kuwait on the day that we were assigned. The platoons of staff officers in the Pentagon could check off one more box completed in the war effort. In a burst of egalitarianism, no doubt inspired by the Air Force, we boarded the plane in alphabetical order as opposed to rank. Thus, the World continued to inflict crass discrimination upon me because of my last name and condemn me to the end of the line. 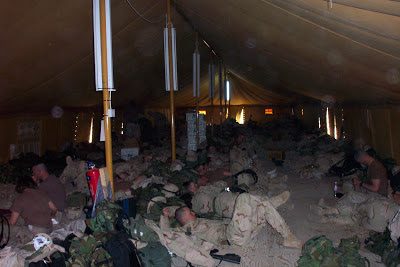 After a stop in Germany we arrived in Kuwait the next day and greeted our luxurious accommodations. The Air Force Technical Sergeant who greeted our plane at Kuwait International Airport recommended that since the Airport was a target for the Scud missiles that even then were descending on Kuwait we should unload the plan and get off the runway as quickly as possible. We all agreed with the Air Force Sergeant and did our best to comply. We have been talking and having conference calls about a Mass Care COP lately. COP is short for Common Operating Picture, the quaint and curious concept that the many decision makers within the many agencies involved in a decision should be making their many decisions based on the same set of information. There were multiple mass care operating pictures in New York City during Sandy but they had little in common. The reason for this was not a conspiracy of incompetence but a reflexion of the difficulties facing the mass care practitioners trying to direct resources in a large, urban environment. The American Red Cross had 120 Emergency Response Vehicles (ERV) performing fixed and mobile feeding in NYC and on Long Island. The ERV crews were volunteers from places like Kansas and Indiana and Georgia. They knew as much about NYC geography as I did, and I was discovering (to my eternal amazement) that Coney Island wasn't an island, but a peninsula. I could be standing in Queens and someone could give me an address and I wouldn't know whether it was 3 blocks or 3 miles away (assuming that I even knew where I was). That's what a GPS is for, you say. But a GPS doesn't solve this problem. A GPS tells the user how to get from Point A to Point B, not the relative positions of Points A through Z. The people directing the ERVs in Sandy weren't receiving one or two reports of people needing feeding, they were receiving dozens. Not being from the area, they couldn't look at the addresses and know if some of the requests were clustered together. As far as they knew they were all separate entities, each clamoring for a limited number of a precious resource. Normally, this isn't such a problem, but Sandy was different; the impacted area was large, urban, and densely populated. There was a disconnect between those who could identify the location of the need, and those who could direct the resources to meet that need. Just call them on the cell phone, you say. Well, the cell phones don't always work in a disaster, and this is not a point to point communication problem. This is an information processing problem. The solution, of course, is to collect all of the information and display it electronically on a map. The technology to do this is well developed and inexpensive. In our computer literate society information is collected, put in the right format, and transmitted to the correct depository millions of times of day. How hard could this be? What problem could keep us from making this happen? The biggest problem of all: We've never done it this way before. But we're going to fix it. We've got it fix it. In the upcoming years the American Red Cross will be fielding a new fleet of Emergency Response Vehicles with tracking devices that will convert them into blinking dots on an electronic map. The Salvation Army has already placed similar devices on a portion of their fleet of canteens. Each agency will convert their information into data feeds that can be assembled and displayed on a map along with shelter locations, field kitchen sites, power outage data, damage assessment reports and all the other bits of information that are pouring into emergency operations centers. But all of that won't happen by this summer. And I am all about what can you do for me now. What will be ready when the Big Storms start swelling on the satellite pictures? For the last 12 years my New Year's resolution every January 1 is to get ready for a Category 5 hurricane to hit Miami. What have I got against Miami? Nothing. That's my worst case scenario. And that's the standard against which I have to compare my level of preparations. Knowing my job, people ask me all the time about my opinion on the latest forecast for the hurricane season. Because of my job I am well aware of the hurricane season forecasts but they have no impact on my preparations. Regardless of the seasonal forecast, I have to get ready for the Cat 5 hitting Miami. As June 1 approaches my preparations grow more frantic. I asked a friend why this was so and he said, "You've seen the elephant." Because I've seen the elephant we're going to jury rig some kind of mass care COP for this summer. We've already figured something out. We will test the contraption at this year's National Hurricane Exercise in Tallahassee in June. And then, if the Big One to Florida comes this summer, we will use it. I have stumbled through the wreckage and tumult of emergency operations centers as the occupants try, and sometimes fail, to manage a big disaster. A recurring theme in these situations is how the inhabitants sort themselves into categories. There are those who know that they don’t know what they’re doing, who know that they are steering the boat over the falls, but see no other choice but to grip the tiller and await the outcome. The really interesting ones are those who don’t know what they’re doing, and don’t know it. They may even be riding a delusional wave of euphoria, caught up in the excitement of the disaster and think that they are doing well. The ones who know what they are doing, and know that they know what they are doing, are mixed in among the others, camouflaged by their silence, waiting in vain for someone to ask them what needs to be done. They don’t speak up because they know that unsolicited advice will be wasted. The former category can’t absorb the advice because they are already resigned to their fate, while the latter category disregard their words because they think they already have it all figured out. In August 2004, after almost 5 years in the job, I discovered how little I really knew about coordinating mass care at the state level. Hurricane Charlie plowed into Charlotte County as a Category 4 hurricane, crossed the state and exited into the Atlantic Ocean as a Category 1 near Daytona Beach. At the State EOC we were inundated with requests from over 25 hurricane-impacted counties comprising millions of people. I know that my frantic and frustrating actions included very little productive mass care coordination. And I knew it at the time. What is sad about this story is how hard I had worked the previous 4 years to get ready for that moment. My problem stemmed from the fact that most of my efforts were focused on procedures to make things run right in the EOC. I know now that I had a role to play in that world outside the building. After 8 storms in 16 months I started to figure out what that role was. What is also sad about this story is that there wasn't a book, manual, document or scrap of paper that explained how to do my job. The role of State Mass Care Coordinator wasn’t defined. There was no state mass care doctrine for me to learn. One dictionary defines doctrine as “a body or system of teachings relating to a particular subject.” Doctrine could also be defined as “something that is taught.” The new National Preparedness Goal defines Mass Care Services as: “Provide life-sustaining services to the affected population with a focus on hydration, feeding, and sheltering to those who have the most need, as well as support for reunifying families.” At the national level, FEMA and the American Red Cross are responsible for coordinating the implementation of Mass Care Services in a disaster. The American Red Cross has assembled a doctrine on providing mass care at the local level from the vast history and experience of the organization. 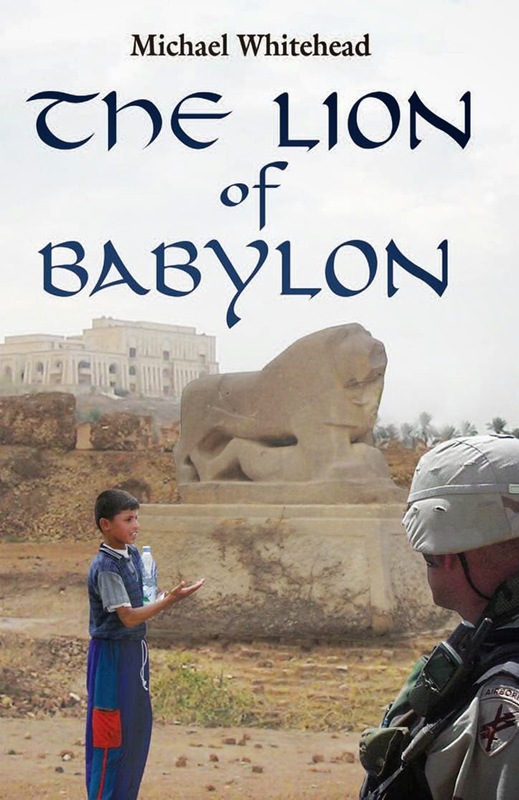 The doctrine is written in manuals and disseminated in classroom instruction by local Chapters year round. To borrow a term from the military, this is tactical doctrine. Mass care tactical doctrine explains how trained individuals and resources arrive at the disaster area and feed, shelter and distribute relief supplies to the affected population. This doctrine works fine for the hundreds of smaller emergencies, events and disasters that occur in the nation every year. The principle voluntary agencies that perform Mass Care Services across the nation (the American Red Cross, the Salvation Army and the Southern Baptists) struggle to deliver the level of service that the public expects during big disasters. These struggles are not necessarily the fault of the voluntary agencies. Their ability to marshal volunteers (which they have trained at their expense), equipment (which they have paid for) and salaried employees from around the nation and employ them in support of local jurisdictions during a disaster is a feat that does not always receive the appropriate recognition. But their resources are not infinite. Their capabilities and the amount of resources that they can deliver in a crisis are dependent on public support and the donated dollar. For this reason, public criticism of their actions or non-actions by elected officials caught up in the emotions of the response is never helpful. Fortunately, our country doesn’t have to deal with catastrophic disasters very often. For most emergency managers, when the Big One comes it is their first big disaster. For those that have done it before, their previous experience may not provide a good example. And too often the local politicians decide that this event is “important” and requires their uninformed, uneducated and ill-considered usurpation of the roles for which their emergency managers have been training and preparing for a life time. Is it any wonder that we don’t do well? We have a tactical mass care doctrine that serves us well in all disasters. What we don’t have, and what we need, is an operational mass care doctrine. Borrowing again from the military (and simplifying the concept considerably) operational doctrine is about moving the resources into place so that the tactical doctrine can be executed. We practice operational tasks infrequently. The mass care community has a lot of skilled, dedicated professionals who have worked numerous big disasters. In some cases they are the ones in the emergency operations centers who know what to do, and know that they know what to do. They understand, through harsh experience, the need for operational doctrine, although they may not phrase it in those terms. The best and most effective way to manage a disaster, especially a Big One, is in a collaborative manner, utilizing the resources of all the agencies available in the community. This is the philosophical basis for the Whole of Community concept now being promoted by FEMA and other agencies. There are some elected officials who, when the disaster strikes, take control of all emergency management actions, arrive at decisions without consultation with their state, federal, nonprofit and private sector partners, issue directives to their partners as if they were subordinates and then micro-manage the execution of these directives. This approach can, and has, caused unnecessary suffering to the survivors who have the misfortune to live in that jurisdiction. We can only shake our heads at such actions and leave any resolution to the electoral process. For the great, sane, majority in the rest of the nation we need a collaborative, operational Mass Care Services doctrine. The central actor in any such doctrine must be the state government. Why? Because only the Governor of the State can request federal mass care resources on behalf of the local jurisdictions. By definition, operational actions are only necessary when the local jurisdictions are overwhelmed and need additional resources. The voluntary agencies can bring in their own national assets on their own authority and frequently do so. But what if the voluntary agencies are overwhelmed? Then state and federal assets must be committed by a designated State Mass Care Coordinator trained to do the job. I have written here before about our efforts to create a State Mass Care Coordinator’s Course (see the new State Mass Care Coordinator's Course). And the national mass care community has been able to develop some documents that explain how the collaborative process should work to coordinate mass care at the state level. These documents can be found on the National Voluntary Agencies Active in Disaster website as well as the National Mass Care Strategy website. These documents, which are the first steps towards an operational Mass Care Services doctrine, are: The Multi-Agency Feeding Plan Template, the Feeding Task Force Guidance Document, the Sheltering Guidance Aid, Household Disaster Feeding, and Federal Mass Care Resources Coordination. To further assist this training process FEMA is publishing Mass Care Resource Typing documents (read about this development here). Finally, in furtherance of the National Mass Care Strategy, we are holding a National Mass Care Exercise annually in order to train present and future State Mass Care Coordinators from around the nation, as well as mass care workers from the federal, state, local, & voluntary agencies and private sector. The first such National Mass Care Exercise was held in Tallahassee, FL in May 2012 (read the after action report). Another National Mass Care Exercise is planned for Tallahassee in May 2013. The intent of these exercises is to give the national mass care community a chance to practice these operational procedures and train in the difficult but essential collaborative coordination processes that are essential to a successful mass care response. Hopefully, through these actions, we can help some future State Mass Care Coordinator prepare and do a better job than I did during Hurricane Charlie in August 2004.